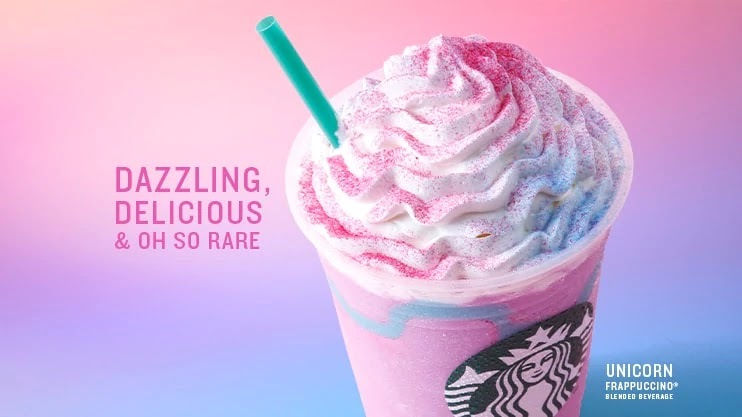 Starbucks Releases A Magical Unicorn Drink - Available Now For A Limited Time - EAT WITH HOP! Even Starbucks is going along with this unicorn trend by releasing the new UNICORN DRINK. Only available...if you believe. And also only at participating stores in U.S., Mexico and Canada for a limited time. HAVE YOU TRIED THE UNICORN DRINK YET? IT IS AVAILABLE NOW! I have yet to try this colorful concoction, but believe me, I am a bit scared to try it. It's so colorful! But why? I could only imagine all the artificial ingredients here (dang, I am getting old to be worrying about this). WHAT FLAVOR IS THE UNICORN DRINK? The Unicorn Frappuccino will cost about $5 for the grande size. 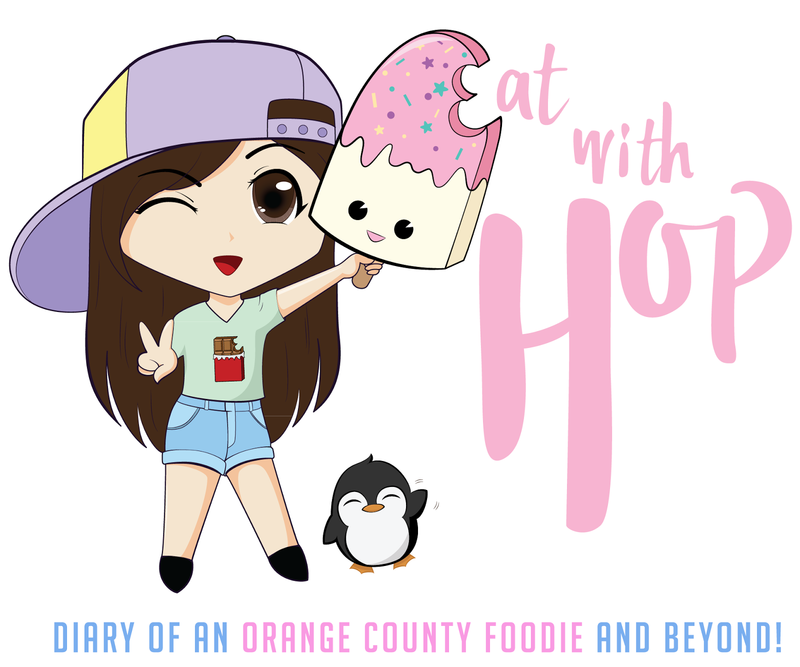 It is flavor-changing, color changing and is sweet and fruity at first then transforms to a sour taste. It is a pink colored mango + passionfruit creme Frappuccino with sour blue drizzle and topped with magical pink and blue fairy powders (sprinkles). I would probably pass on trying this. But I am glad they finally made that viral "pink drink" an actual and official thing on the menu! It is the strawberry refreshers drink with coconut milk instead of water! And I also like trying those layered drinks!